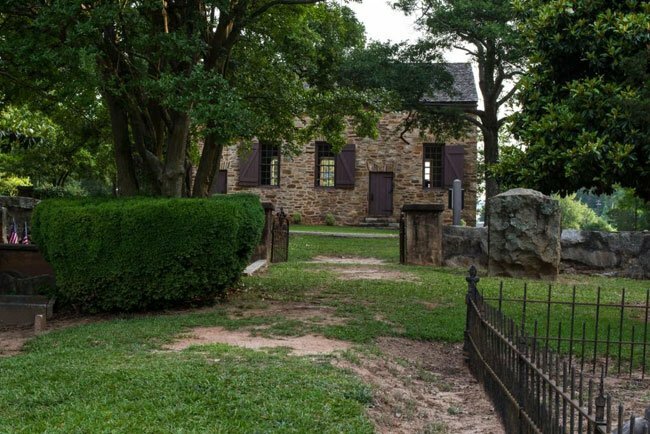 The historic Old Stone Church in Clemson has been a fixture of the landscape for over 200 years. 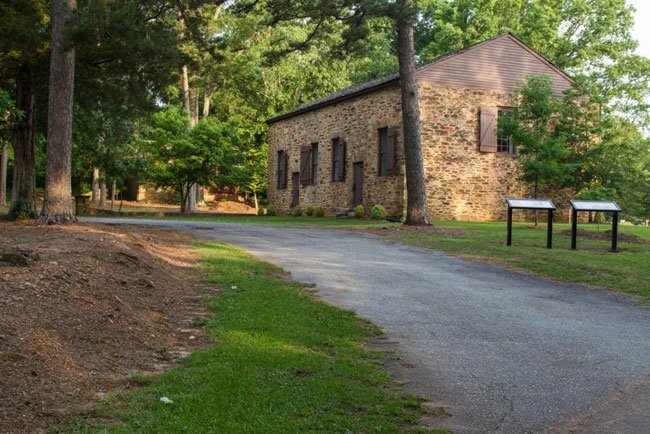 The church began as Hopewell-Keowee Presbyterian Church in 1789. 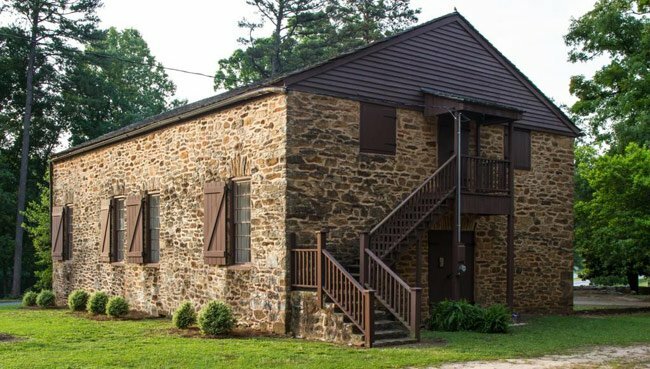 By 1791 the congregation, which had been admitted to the South Carolina Presbytery, was worshiping in a log cabin near the Keowee River. The log meeting house burned a few years later, and construction on this church began in 1797. The stone church was completed in 1802. 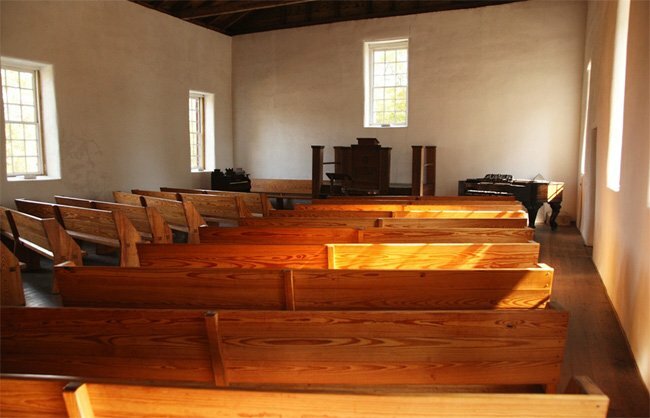 This remained the house of worship until the congregation moved to Pendleton in the 1820s. 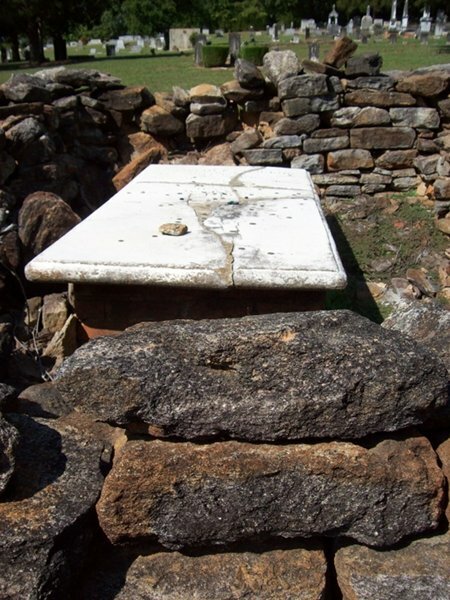 In the late nineteenth century, as the church and graveyard began to fall into disrepair, the Old Stone Church Commission was formed to restore and maintain the property. The cemetery actually predates the church. The oldest grave in the churchyard belongs to Charles Miller whose father, John, was a newspaper publisher in London before continuing his trade here. Charles Miller is interred on a corner of the church property that was part of his father’s land grant before it was deeded to the church in 1800. Old Stone Church is one of the older structures remaining in Upstate South Carolina. Revolutionary War General Andrew Pickens, namesake of Pickens County, and his son, Governor Andrew Pickens, Jr., are buried here. Today the Old Stone Church continues to be maintained by the Old Stone Church Commission. The church, which has no heating or air conditioning, holds special worship services during the year. It is closely affiliated with Clemson University and Old Fort Presbyterian Church. 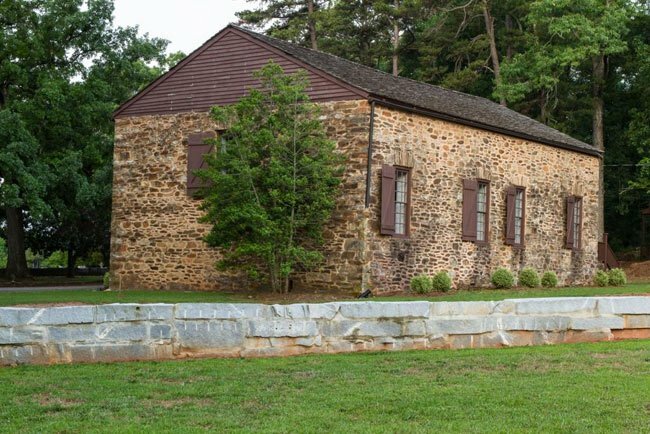 The Old Stone Church is significant architecturally as a masonry adaptation of meeting house architecture and as a representative of the early pioneer church in South Carolina. Many prominent men are buried in its cemetery. 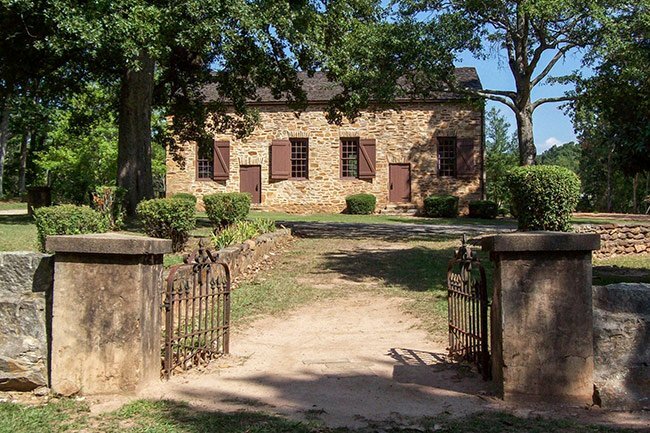 On October 13, 1789, the congregation of Hopewell-Keowee Church asked to be taken into the Presbytery of South Carolina. 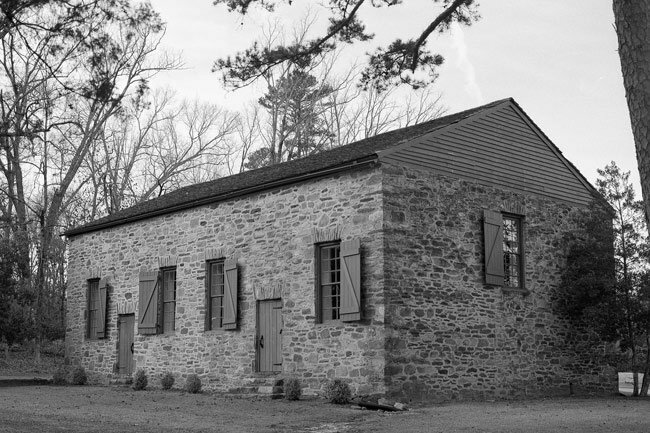 Construction of the Old Stone Church began in 1797, replacing the congregation’s log meeting house that had burned. 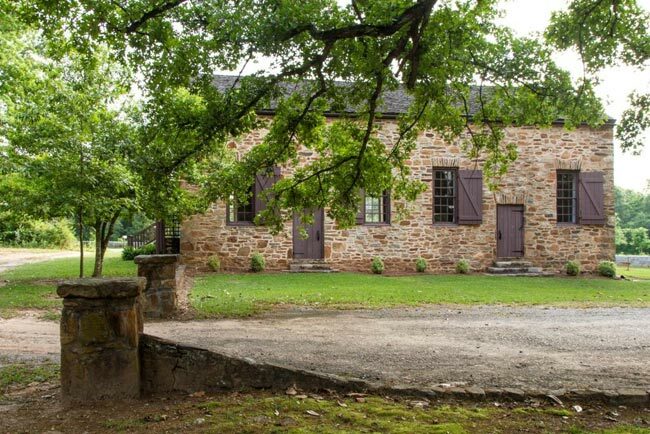 The natural fieldstone rectangular structure with medium gable roof was completed in 1802. It is six bays deep with high fenestration. The windows are the size of its doorways, all of which are topped with a flat arch. Exterior stairs lead to the slave gallery at the rear of the church. During the 1890s, the Old Stone Church and Cemetery Commission was organized, a wall put around the graveyard, and repairs made to preserve the old building. Hey Rosalyn! That sounds like quite a story. We are not directly affiliated so are not sure of any potential records, but we did find their direct contact information here: http://oldstonechurchsc.com/contact-us/. Definitely reach out to them and see if there are maybe official records that can be accessed. We would love for you to find this information out about your ancestor! Thanks and hope this helps! Hi! I spoke at Clemson University in 2012 when my novel Wading Home was chosen as the ‘summer read’ for new students. While there, I found the grave of Charles Story, who owned my great great grandfather Moses, one of his slaves. 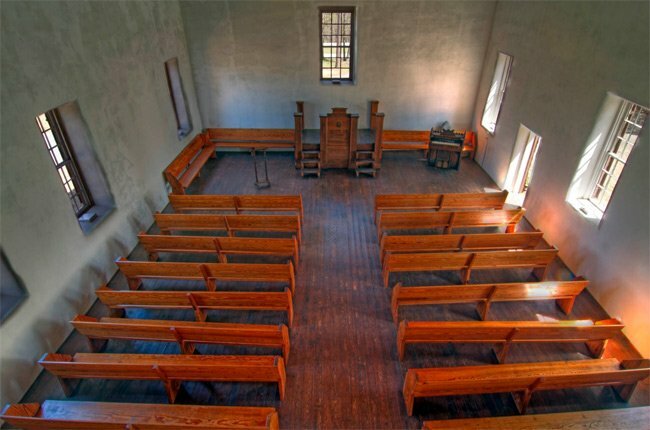 I think it’s possible Moses may have attended church there, as many slaves did at their masters’ churches. Possible to find any record of this? Thank you! Hi, Debby. 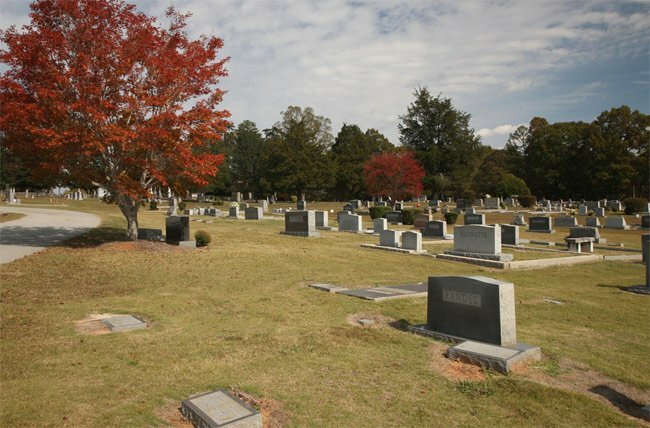 Here is a list of burials: http://www.findagrave.com/cgi-bin/fg.cgi?page=gsr&GScid=70945 Good luck. A very dear friend of mine died maybe 8 or 9 years ago. Is there anyway his ashes could be in this mausoleum or buried? How would I go about finding the answer? His name is George Holloway Marchioness. Hi, Lisa. There is a website above the map; hopefully you can find answers to your questions there. Best of luck! Looking to see if this church is still available for weddings. Some of my ancestors are buried at Old Stone Church. What would be the best way to find out how to contact the owners of the individual burial plots? I am fairly sure that I am related to some of the persons buried at Old Stone Church. What would be the best way to find out who owns the burial plots for the individual families? We attended a wedding at the Old Stone Church 10 years ago. Is this church still available for weddings? I am interested in getting copies of some the churches on your site. Is it possible to get copies from you direct or notify the different photographers? Thanks so much. Is there any chance of knowing if Daniel McCay is one of the builders of the church? I understand he may be buried in an unmarked grave there in the cemetery. My great-great grandfather Martin Stanley McCay was christened in the church in the early 1800s.